Bockety; what does it even mean? A word commonly used in Ireland; bockety is something that is wobbly but still functional. This story revolves around two best friends who take on the world of imagination together, and end up discovering something precious about their friendship. The Bockety World of Henry and Bucket will take children on an exciting journey on February 11. Henry and Bucket are two best friends who share a home, a pet, and an unbreakable bond. They live in a world of discarded things but they don’t seem to mind that as long as they have each other. Like any other friendship, theirs’ too is sometimes bockety because of a few fleeting moments of bickering. But the delightful part is that it still works because how can anyone ever stay mad at their best friend? Henry and Bucket can’t stop being friends either, even when a situation arises that seems to collapse the bockety bond. 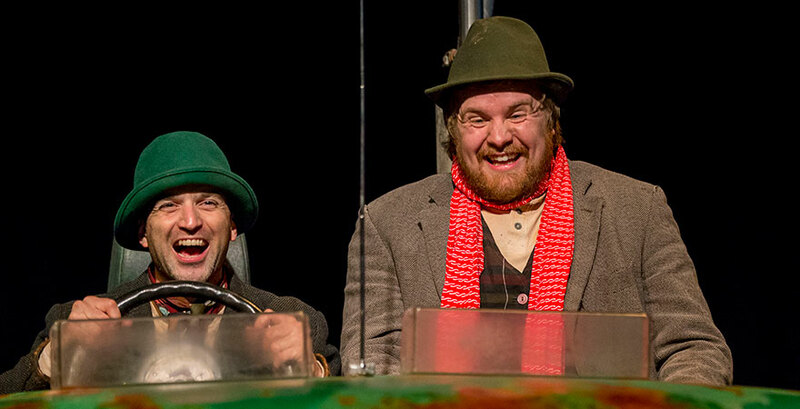 This much loved play is produced by Sarah Argent in collaboration with Ireland’s Barnstorm Theatre. Barnstorm specializes in content that caters to a child’s mind and is relevant to their experiences. They make it a point to use the transformative potential of theatrical performances for the benefit of children. It makes sense then that they joined forces with the brilliant Sarah Argent. 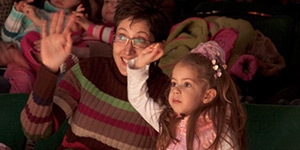 She is a byword for children’s theatre and has successfully delivered a praise-worthy play. Argent plays on the similarity between the fictional and real life circumstances and adds a twist of her own that makes this play even more significant for a child’s life. There is a beloved pet mouse…a computer pet mouse but beloved nevertheless. There is a car ride with attractive sights…in the characters’ imagination. The play is filled with situations that any child lives through but they are special because they are portrayed through the imagination of a child. There is much to be learned and lived in this play. These performances are part of State Theatre New Jersey’s Relaxed Performances Series. Relaxed Performances are specially designed to create a safe, welcoming environment for audiences on the autism spectrum or with other sensory sensitivities to experience the joy of live theater. Come and explore The Bockety World of Henry and Bucket on Saturday, February 11 at 1pm and 4pm at the Crossroads Theatre (7 Livingston Ave).